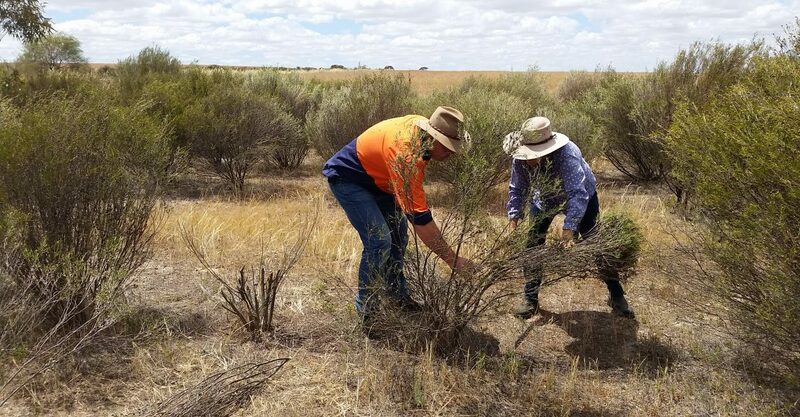 Brushwood was a huge project between 2006 and 2009 which saw 1.8 million brushwood seedlings planted on marginal land, in the Moore and Yarra regions, with an industry aim to provide material to create brushwood panel fencing. Les Crane planted around 25ha in 2006 to fix a boggy spot in the paddock and potentially make extra money from harvesting. 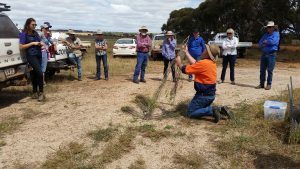 Rachel Walmsley from MCC said “Brett and Hayley Bowman from Bowman Brush, Meckering attended the field day to talk about and demonstrate harvesting techniques, and speak about markets for their fencing panels. At present the best method for harvesting is by hand and this has been a huge limitation in getting the brush to the factory. The Bowman’s will pay 50c/kg green weight for hand harvested brush but the future lies in the development of a mechanical harvester to get the job done quicker.” The demand for brush panels is on the slow increase and the Bowmans are improving their marketing to get the product more widespread. 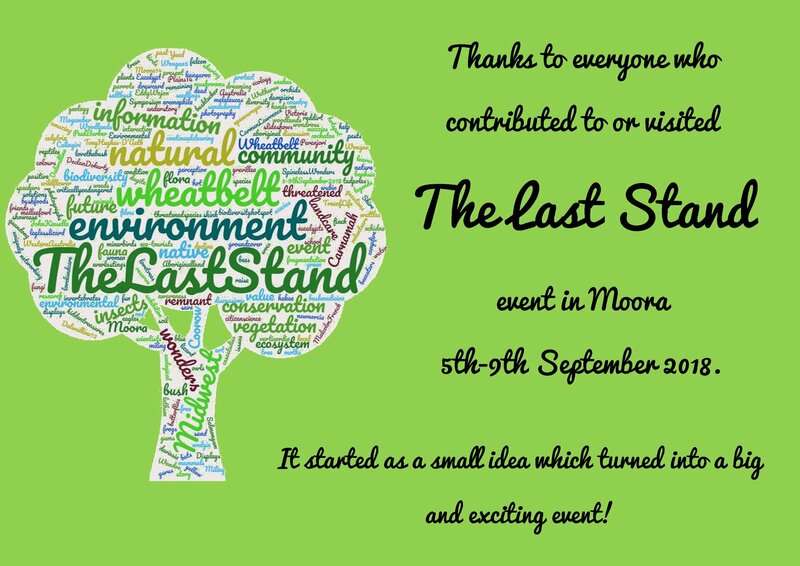 Thanks to the National Landcare Program for funding this project. A report, compiled by Project Officer Emma Pearse, detailing all the findings from 123 projects around the region is coming soon.